The grass is always greener on the NyLawn side! El Toro Premium - ours exclusivey! El Toro Premium was designed by NyLawn to blend in with Hawaii's natural grasses. It is Exclusive to NyLawn! This side view of El Toro Premium shows the blades in 2 different shades of green including a spline down each blade, just like a real blade of grass, that gives the blade a natural look and more strength. The tan and green thatching gives the turf a natural look and feel, plus helps to keep the blades standing up. shows the two different shades of green blades. You can also see the dense thatching also has two-toned green, coarse blades, giving it a very natural light green look. 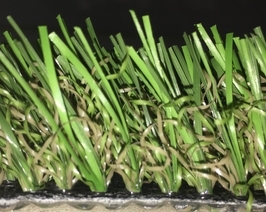 Paspalum is our most affordable turf also having two shades of blades and two shades of thatching. It is also 1 1/4” to show less wear overtime. 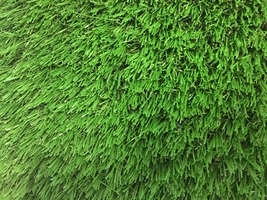 Kentucky Lime is a lime green turf and has a shorter pile height than our other lawn turfs. Total weight: 87oz Stitch gauge: 3/8"
Our Kentucky Colors come in Black, Blue, Red, Yellow, White and Green (above). 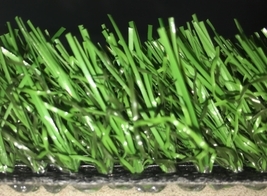 This turf is ideal for school yards, playgrounds and sports fields. used without infill, which is ideal for indoor and portable applications. STI's NP55 is the only option for true roll, realistic green speeds, and a look that rivals any natural green. The latest technological advancements have allowed STI to improve upon its world famous non-directional nylon putting surface NP50. While this product performs best with sand or ceramic infill, this product can be used without infill, which is ideal for indoor and portable applications. The new two-color yarn combination gives NP55 a natural look and performance that cannot be found anywhere else. Although NP 55, is our preferred putting surface, there are many to choose from that can be special ordered. 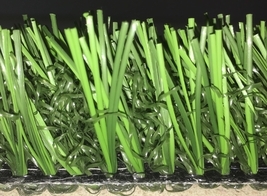 The two-toned Bluegrass fringe makes for a natural looking grass. The backing is not perforated.